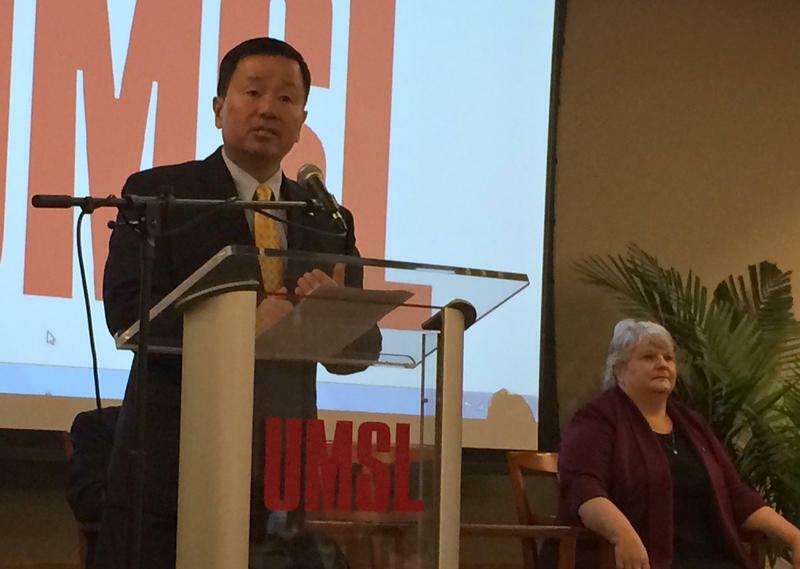 University of Missouri President Mun Choi, shown here in November 2016, detailed cuts across the UM System campuses on Friday. The system's financial problems stem from declining enrollment and millions less in state money. Choi said to address those challenges, layoffs were necessary. "We knew we had to make those difficult decisions because I said on March 1 that 80 percent of our budget is in salaries and fringe benefits. For us to be able to absorb $180 million in budget targets without affecting employment would have been inappropriate," he said. Choi said the system also will put $47 million toward strategic investments. "We need to make that sure we have a strategic focus to make this university better than it is right now. Now, you may think that sounds difficult, given the budget situation that we're facing, but if we don't act, our university will not become a stronger university," he said. The suburban St. Louis campus will see administrative restructuring and will no longer offer an art history major. Last year, UMSL cut more than 80 staff members.